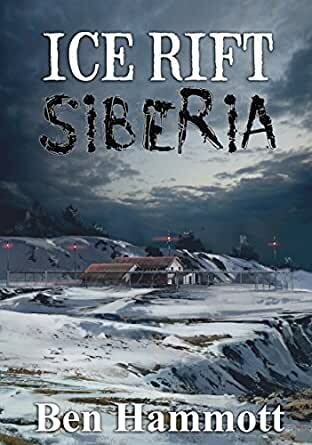 ICE RIFT - SIBERIA is the 3rd book in the best selling Ice Rift series. 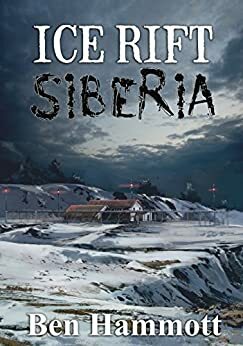 Ice Rift and Ice Rift - Salvage need to be read first to gain maximum enjoyment from this novel. Having stowed aboard the Russian vehicle transporting the alien weaponry salvaged from the doomed Antarctic spaceship, the surviving fragment of EV1L arrives at a secret underground complex in the remote wilderness of the Siberian tundra. It will feed and grow. When all is ready, EV1L and her hoard of vicious offspring will emerge from the facility and head for the nearest city to start their conquest of Earth. When the Americans intercept a plea for help from the secret facility and learn of the alien menace, a crack team is rushed to Siberia. Their mission is to destroy the alien creatures before they escape. If they fail, it could bring about the end of human civilization. I really enjoyed the hole series of the ice rift books. Book 3 and finale of the Ice Rift series. What a ride. Still sad it’s over. Very suspenseful and great read of this sci-fi thriller. I couldn’t put it down. Very original and great description of the alien species. Highly recommended. I really like Ben's books. I started with Ice Rift years ago and have enjoyed every single new book from him since. They are exciting, have great characters, and imaginative fantastic monsters. Horror Island was a hoot to read. The Ice Rift series has turned into a very fun story. Lots of action. I recommend any book by Ben Hammott. 5.0 out of 5 starsIncredable, blievable. Just awesome!!! All of Ben"s books e so bellievable, well researched, and the characters just draw you in!!! I could not put this book down. It can be read as a standalone but I recommend reading the whole series. I'm already reading another of his books. Please keep them coming Ben!!!! As with previous books through the series this one will keep you on your toes. Another greAt book to the series. This series of 3 books were thrilling, suspenseful, and fun to read. Loved the characters, especiAlly Richard, who the author chooses to return in each book. You'll love his self preservation skills in the end. Don't hesitate to pick the first book up! You'll definitely read all three! Enjoy! !